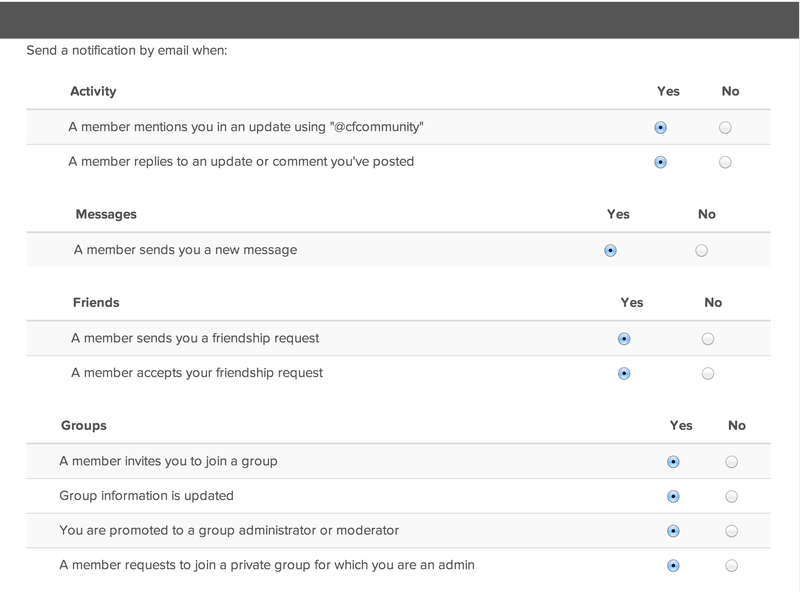 The notifications component was added to BuddyPress 1.9 and works identically to the previous core notifications functionality, but now separates everything into it’s own component. This page will give you a quick overview of it’s functionality. Notifications are a central aspect of the user experience on a BuddyPress site. 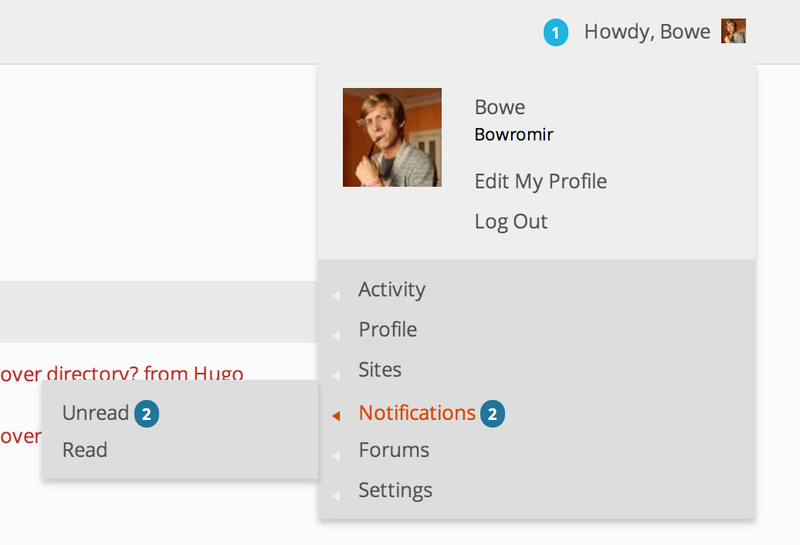 By default new notifications are displayed in the admin bar profile menu, right next to the navigation menus, some themes even integrate the notification counter in other places (like in the header or sidebar of a page). Receive notifications of your own posts? User can enable and disable receiving emails when new notifications are received. This can be done through their Settings > Email page. 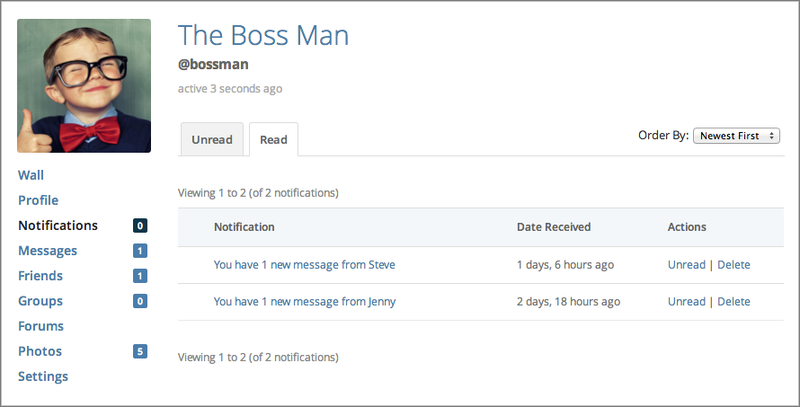 Some plugins can add their own notifications events that can be triggered by activity of your member. A good example is BBPress which sends notifications on new topics and topic replies.